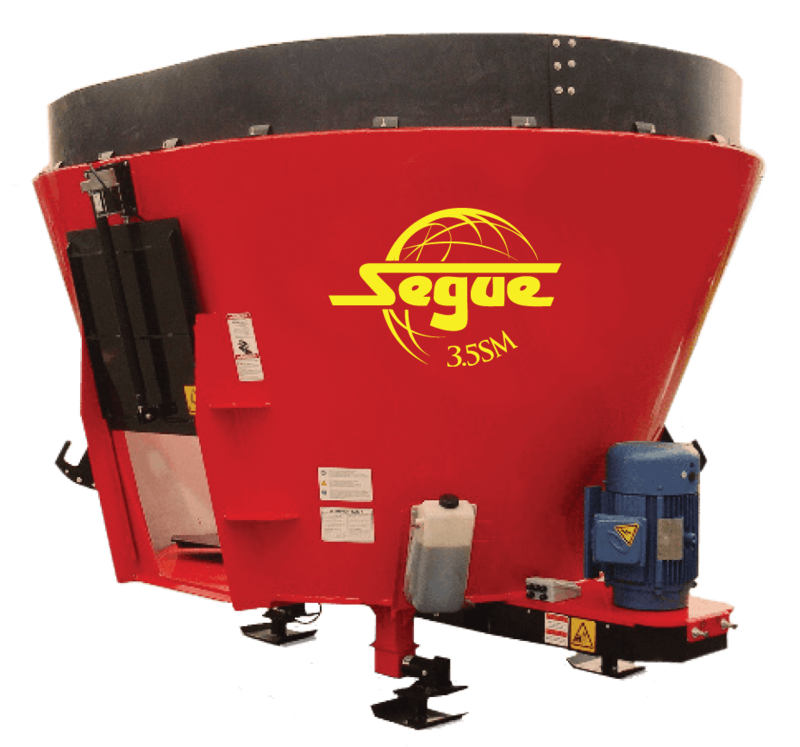 The Segue 3.5SM Mechanical Stationary has a maximum payload of 6,000 lbs (2,722 kg), struck capacity of 310 ft³ (8.8 m³) , 385 ft³ (10.9 m³) with 12″ tub extension or 465 ft³ (13.2 m³) with 24″ tub extension, and requires 40 horse power (30.0 kW). Supreme Plug and Play stationaries will offer any producer with 240V power the opportunity to run an electric driven TMR stationary processor. A highly advanced and automated Variable Frequency Drive system has created the ability to power processors up to a 700T on 240V power supply, where before producers would require 3 phase power. The 3.5SM is driven by a reliable, simple HD drive shaft system. Customers with confined spaces or limited power will no longer be limited to a cheap, low quality processor. Ask your local dealer how the new hassle free stationary series from Supreme can fit into your operation.